However, please note that there is currently some uncertainty regarding the enforceability of rights obtained through the filing of an ARIPO application designating Sudan. Furthermore, whilst it is possible to file PCT national phase applications in Sudan, the national law has not yet been amended to handle such applications. Accordingly, it is not clear whether enforceable rights can be obtained via PCT national phase filings in Sudan. ﻿﻿Renewal 10 years from the filing date and every 10 years thereafter. Non-use of a mark for a period of 3 years from registration renders it open to an action for cancellation by third parties. Proof of use of a mark by way of a Statement accompanied by a specimen of the mark as used is required upon renewal of the mark. In addition, granted UK patents automatically extend to Swaziland without the need for local registration. In the case of a UK patent, the term expires upon expiry of the UK patent. In the case of the reregistration of a South African patent, the patent remains in force for as long as the South African patent is maintained. In the case of a UK patent, no separate renewal fees are payable. In the case of a registration of a South African patent in Swaziland, renewal fees fall due annually on the same date as South African renewal fees fall due. A UK registered design automatically extends to Swaziland. 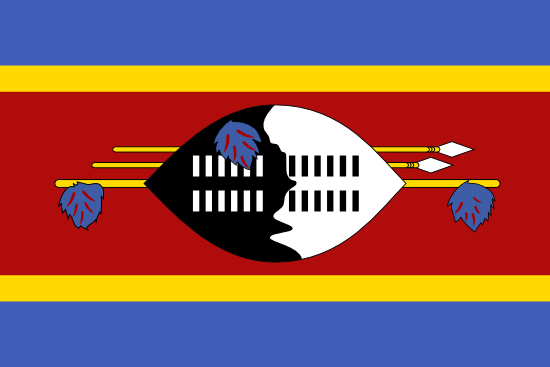 Design protection in Swaziland may also be obtained by re-registration of a granted South African design. Swaziland is a member of ARIPO - however, there is currently no national law in Swaziland which specifically provides for design protection by filing an ARIPO application, and there is therefore some uncertainty as to whether or not any design protection can be obtained via ARIPO. Although such ARIPO design applications designating Swaziland may be filed and will be accepted, there is no guarantee that any enforceable rights will be granted. For UK designs, the protection in Swaziland remains in force for so long as the UK design on which it is based remains in force. In the case of the re-registration of a South African design, the design remains in force for as long as the South African design remains in force. In the case of a UK designs, no separate renewal fees are payable in Swaziland. In the case of the re-registration of a South African design, renewal fees are payable 5 years from the filing date of the South African design. In the case of a functional design, the Swaziland design can be renewed for a further five year period and in the case of an aesthetic design, it can be renewed for two further five year periods, provided that the corresponding South African renewal fees have been paid. No news stories have been found for Swaziland.